We’ve talked about the disposal of fats, oils, and greases (FOGs) in a commercial setting, but many of the septic (and sewer) problems caused by the disposal of FOGs originate from food waste poured down residential drains. There are many myths associated with pouring grease down the kitchen sink, but the truth is it is never okay! But with a few changes in habit, it’s easy to minimize residential FOG drain disposal. While the garbage disposal does a wonderful job of grinding up solids before passing them through to the sewage pipes, it does little more than stir up FOGs before they pass into your drainage system. Once the FOGs pass through your garbage disposal, they will cool and adhere to the inside of the pipes and eventually create a clog deep in your home’s drainage system. This is one of many reasons we do not recommend the use of garbage disposals in homes with septic systems. Statistically speaking, homes using garbage disposals will see 30-40% more FOGs down the kitchen sink than those without. Hot water only gives the illusion of dissolving FOGs.While the hot water will keep the FOGs from clogging up the pipes directly underneath your sink, once they cool, they will revert back to their solid state to create a clog that is located deeper within your home’s drainage system. The deeper the clog, the more difficult it is to deal with. Worse than that, FOGs are especially difficult for your septic system to break down. Pouring these down your drains can drastically reduce the life of your septic system. Often, people think that FOGs which are liquid at room temperature will not create clogs in the drainage pipes because they won’t be able to solidify. However, these FOGs easily float on wastewater and collect on drainage pipes, building up like cholesterol, and will eventually create clogs and narrowed passages. So we’ve established that FOGs should never be poured down the kitchen sink (or flushed down the toilet! ), but what is the best method for properly disposing of residential FOGs? First and foremost, consider whether you can reuse the oil. 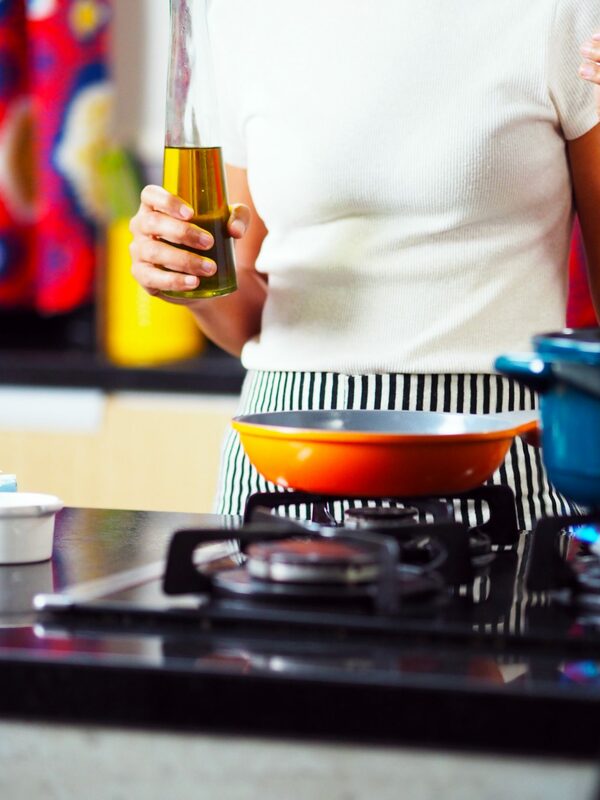 FOGs like bacon grease, duck grease, and vegetable, peanut, or olive oil can be reused. Store greases – like bacon and duck grease – in an airtight container in your refrigerator until ready to use. Oils, like vegetable, peanut, or olive oil, can be stored in an airtight, non-corrosive container in a cool, dry place. If the oil or grease cannot be reused, consider pouring it into a sealable container you can place in the trash. Another favorite method of ours is to pour the grease into a smaller container, like a mug or small bowl, before placing it in the refrigerator to solidify. Once the grease/oil has solidified, you will be able to scoop out the container into the garbage. Have you poured FOGs down your kitchen sink and are noticing a slow-down in your drainage system’s efficiency? It may be time to give Supeck Septic a call to see if your septic is in need of a service visit.